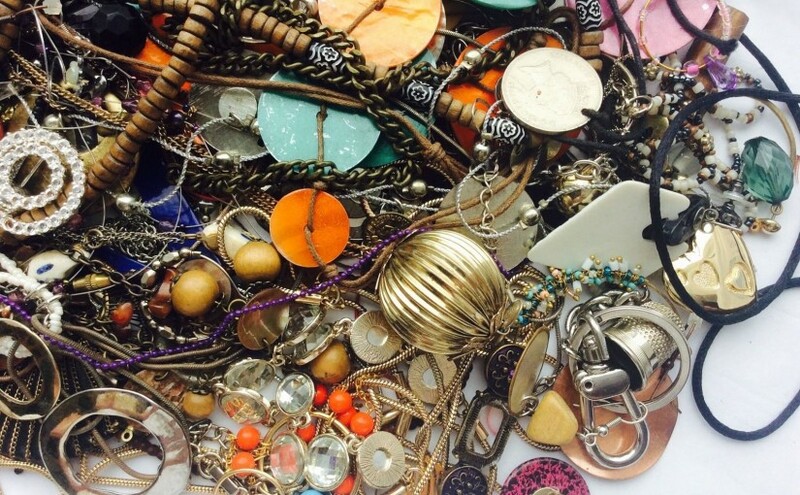 We’ve have all had a spring clean out and then realised that we have way too much jewellery! The feeling of being overwhelmed with small, chunky and delicate items can be scary – you sometimes need to detangle and sort. And then comes the question of how to store them. Storing jewellery is fine balance between display and practicality. We’ve put together a list of ways you can ensure your jewellery is easily accessible, but still looks amazing on your dresser. 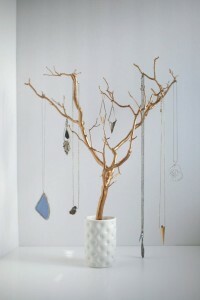 Purchase a tree jewellery stand to hang your necklaces on, or to simply slide your rings on to. 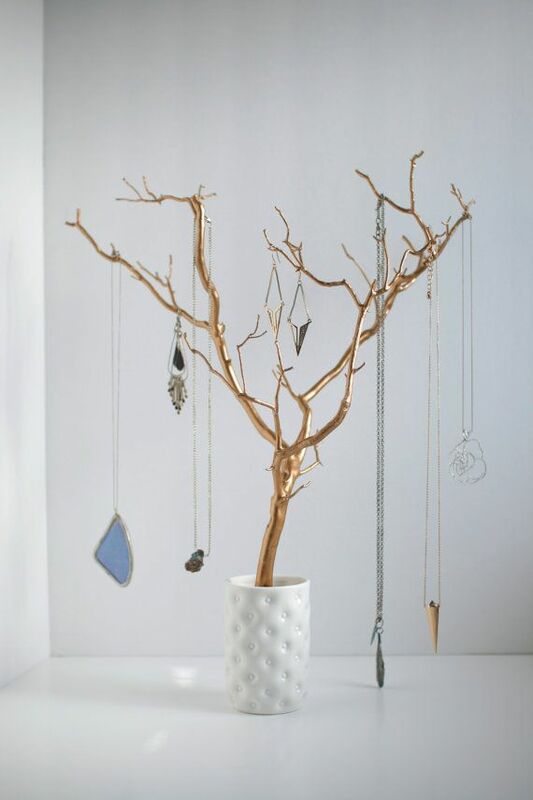 Jewellery trees have a type of elegance that is lacking with other stands and they are sure to match any room type. They range from about £15 – £30 on the internet – but can also be made DIY. All you need is the right branch, a block of old wood and an internet tutorial. Happy building! Turn your wall into a real life Pinterest board. Pin your jewellery to a spare or cheap new cork board using fancy or retro pins to keep them all hanging. Easy and quick to do – you’ll be able to access the jewellery on the go. Make sure to customise the board to your room! A quick paint job will do the trick. yes, cheese graters make excellent earring holders. Using an old one, simply paint over it, blunt the blades and enjoy your fantastic DIY earring holder. There are plenty of online tutorials. Plastic bottles can also be used to make the greatest jewellery holders – simply chop the bottoms off a number of different or similar coloured bottles then sandwich them together on a metal rod. For information on how to create those simply look online for a plastic bottle jewellery holder. Buy a set of faux china saucers or general saucers for a bring floral display for your jewellery. Place them straight in and enjoy being able to mix up how you display them. Easy and simple! That’s right – add a hipster vibe to your jewellery storage by using glass bottles – they make great bracelet holders – simply take your bracelets and stack them on top. Makes for good viewing and easy access. Collect up any corks you may have left over from bottles and paint them the colour of your choice. An ombre style is a good idea. Peg them to the wall and hang up your jewellery!